I've been making granola for years. SO easy and tasty and cost effective!! I mentioned in another post that I've been wanting to find ways to cut back on our weekly grocery bill. Making our own cereal is definitely one way to do that!! I've been out of the habit for a while, but mmmmmm was my family happy that I started baking up an easy batch of granola again!!! I've been making Peanut Butter Granola for a long while. Buuuuut my littlest girl doesn't like peanut butter (I KNOW!!! Can you believe it???!!!) Thankfully I found this yummy recipe on Hillbilly Housewife's site!! In a large 4 quart saucepan melt the butter, brown sugar, salt, and water together. Stir it well and let it simmer for a few minutes (2 or 3 minutes should be enough). Remove the pot from the stove and stir up the granola. You want to coat the oats with the brown sugar and butter so keep stirring until everything is moistened. Put the granola onto a cookie sheet, the kind with sides. Bake it at 375° for 15-20 minutes until it is golden brown and doesn’t look “wet” anymore. Remove the pan from the oven and allow the granola to cool right there in the pan. When it is cool, break it up into small pieces and transfer it to a storage container with a lid. This I am going to have to try! I love granola on my yogurt! My husband and me were just talking about trying to make our own cereal. I can't wait to try this. I will have to add the ingredients to my shopping list. 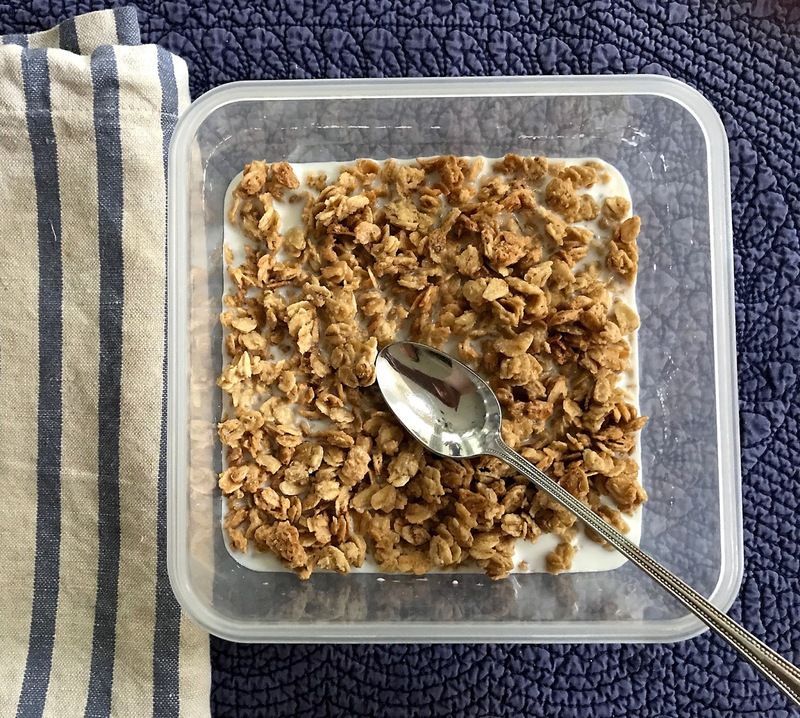 I just love Granola and this recipe looks delicious! Hope you are having a great day and thanks so much for sharing with Full Plate Thursday!